60 seconds per minute. 60 minutes per hour. 24 hours per day. 365 days per year. Each of us gets no more and no less. The Gregorian calendar operates under the agreed upon fiction that the earth orbits the sun every 365 days. However, the annual trip actually lasts 365 days, 5 hours, 49 minutes, and 16 seconds. So once every four years February 29th graces our calendars as a “leap day” to even out the calendar. In school, students learn that leap years can be divided by 4. So 2016 ÷ 4 = 504. Since the year is divisible by 4, it’s a leap year. Except when it’s not. Since the earth’s orbit takes slightly less than 365 days and 6 hours, 3 days have to be subtracted over the course of 400 years. So a year divisible by 100 is NOT a leap year unless the year is also divisible by 400. Seriously, I couldn’t make this stuff up . . . regardless, this year we receive a gift of one extra day for 2016. What will you do with the dividend of 86,400 seconds? Time is one of God’s most precious gifts. Once a moment passes it can never be regained. All the wealth in the world cannot purchase an extra second. Suppose this was the last day of your life. What would you do? Who would you call . . . visit . . . forgive . . . hug? How would you spend the precious gift of a single day? Leap day gives each of us the gift of 24 hours. Let us spend each moment like the priceless treasure it truly is. In 1454, Johannes Gutenberg published a Catholic Bible printed in Latin. The Gutenberg Bible represented the first mass-produced major book using movable type. Gutenberg inspired a revolution in printing that eventually led to the widespread availability of the Bible for the masses. Today we take for granted easy access to the printed Word. Most Christian households possess multiple copies of the Holy Scriptures. I quickly counted 20 different Bibles in my church office. Christians can also read digital versions of the Bible. The 21st century is experiencing a Gutenberg-type revolution in electronic media. Old fashioned bound books with print and pages may one day become relics of the past. Scripture can be viewed online or downloaded to smart phones and tablets. I often recommend that Christians consider using youversion.com. The website provides a free Bible app with more versions than will ever be used. The application also offers reading plans, study guides, and more. One of my favorite features is the audio version for many popular versions of the Bible. And did I mention the app is FREE?!? AND ad-free! The Bible app can be traced back to a United Methodist pastor named Craig Groeschel. In 1991, he joined the staff at the First United Methodist Church of Oklahoma City. He eventually left the denomination and founded a new congregation in 1996 called Life Covenant Church. Today Life Church is part of the larger Evangelical Covenant Church. The church boasts multiple locations and is considered to be one of the largest congregations in the United States. In 2008, Life Church introduced youversion.com. Financial support for the Bible app comes from the church along with outside donors. The site employs 20 fulltime staff members along with hundreds of volunteers. According to the website, youversion.com now offers 1,228 versions with 895 languages supported. The numbers change constantly, but the site has exceeded 210 MILLION downloads! Youversion.com makes the Bible readily accessible on computers, smart phones, and tablets. We can literally carry God’s Word with us everywhere. The app will even read audio versions for listeners while driving, working, or resting. Spiritual disciplines do not come easily to me. This might qualify as an awkward confession for a full-time pastor; however, God hard-wires each of us differently. Some saints possess a mystical bent that makes communion with the Holy Spirit as instinctive as breathing. For other, more left-brained, OCD types like me, spiritual disciplines require, well, DISCIPLINE. During the past months and years, I have cultivated two devotional practices that have become increasingly important to my spiritual journey. For those who wrestle with making the supernatural feel natural, I recommend trying meditation and memorization. Meditation is closely related to prayer. Disciples set aside time to meditate about the goodness of God. We create a space and place where our spirit can commune with the Holy Spirit. A number of devotional books teach this practice. In a hectic and frantic world, the practice of meditation promotes peace in a harried, hectic world. Psalm 1:2 describes the Godly person as one who meditates on God’s Word day and night. What are our first thoughts at the beginning of a new day? What are our last thoughts going to sleep at night? And for those of us at a certain age, what thoughts fill our minds when we awake in the middle of the night? Meditation can be fruitfully combined with Scriptural memorization. This is a spiritual discipline often ignored in the modern church. We have more access to the Bible now than ever. Although most use printed versions, we can also access multiple translations on the Internet or download it to electronic devices. This enables us to carry the Bible with us wherever we go. However, memorizing Bible verses inscribes God’s Word upon our hearts and minds. Memorized Scripture becomes truly our own in a personal, intimate way. The spiritual discipline also enables us to emulate the Psalmist’s example of meditating on God’s Word day and night. Consider this concrete example of combining meditation with memorization in a devotional exercise. Create a time/place to quite your mind/soul. Concentrate on your breathing—remember in both Hebrew (ruah) and Greek (pneuma), the same word means breath, wind, and spirit. Inspiration literally means to breathe in. On each inhalation and exhalation repeat a memorized Scripture verse. For example: Be still and know that I am God. Or a memorized prayer: Lord Jesus Christ, Son of God, have mercy on me a sinner. Another method is sometimes called Square Breathing. Breathe in. Hold the breath. Breathe out. Hold the breath. During each of the four phases, repeat a Scripture verse or prayer. In the coming month, consider combining the practices of meditation and memorization as a part of your devotional life. I would love to hear about your experience. The two spiritual disciplines will bless your life. People keep time by a variety of calendars. The calendar year runs from January to December. Businesses operate on a fiscal year. Families with children follow the school calendar. Kindergarten students learn about the four seasons of spring, summer, fall, and winter. ESPN fans divide the year into sports’ seasons. Hunters anticipate dove, deer, or turkey season. Meteorologists warn about hurricane and tornado seasons. Merchants depend upon the holiday season. The church marches to the beat of its own time. 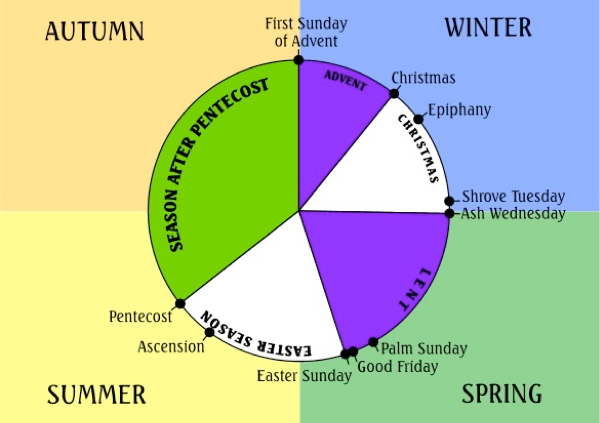 The Christian calendar begins with Advent—the four Sunday season prior to Christmas. The “twelve days of Christmas” celebrate Christ’s coming into the world. Epiphany begins with Jesus’ baptism and recounts Christ’s early ministry. During the 40 days of Lent, believers prepare their hearts for the events of Holy Week. Easter proclaims that Jesus Christ is risen indeed! Fifty days later the festival of Pentecost recalls God’s gift of the Holy Spirit. This year Lent begins on Wednesday, February 10. The 40 day season (excluding Sundays) concludes the Saturday before Easter. The somber, reflective time calls Christians to prepare their hearts to hear once again the story of Jesus’ suffering and death. 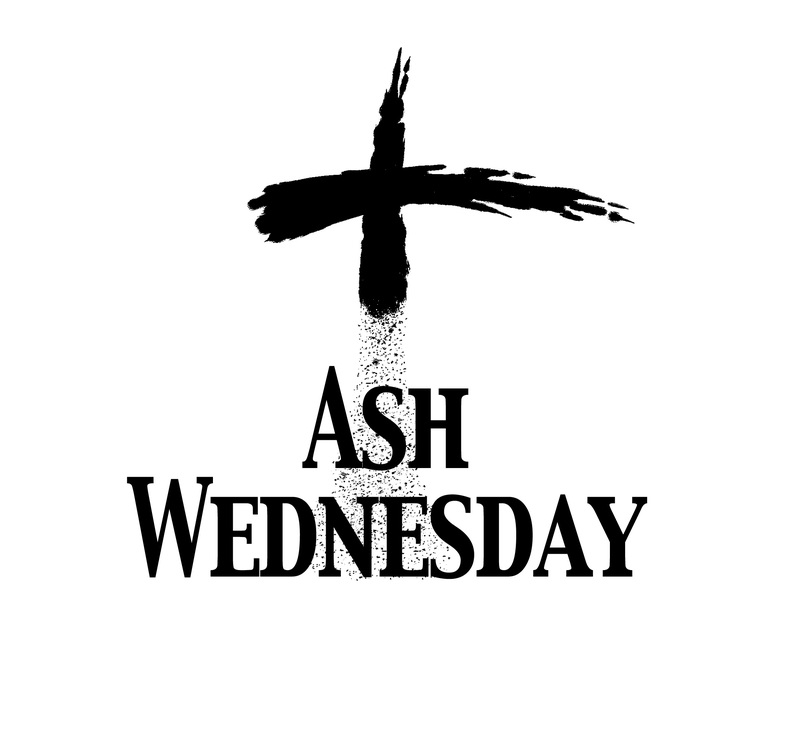 Ash Wednesday marks the beginning of Lent. During the service, the minister marks believers’ foreheads in the sign of the cross. Traditionally, ashes from the previous year’s Palm Sunday fronds are used. Since Old Testament times, God’s people have observed penitential times with sackcloth and ashes. The ashes and words serve as reminders of humanity’s mortality and sinfulness. However, the sign of the cross recognizes God’s gifts of eternal life and forgiveness. The churches of my youth did not observe Ash Wednesday. I learned about the service along with the Lenten season during seminary. Now I find Ash Wednesday to be one of the most meaningful worship services of the Christian year. The Christian calendar reminds us that each day is “God-breathed.” The seasons of the church year rehearse God’s salvation story. On Ash Wednesday, we begin the journey to the cross and empty tomb. During this 40 day journey, we are invited to walk in the footsteps of Jesus. Each year the United States and Canada observe Groundhog Day on February 2. The rather bizarre holiday stars its own namesake: the lowly groundhog. According to legend, the large ground squirrel possesses mysterious, prognosticating abilities. If the rodent sees his shadow, then he will retreat into his burrow in fear. Another six weeks of winter will follow. If cloudy weather prevents the furred forecaster from seeing his shadow, then he will leave his lair, signifying the advent of spring. Historians debate the origin of the holiday. 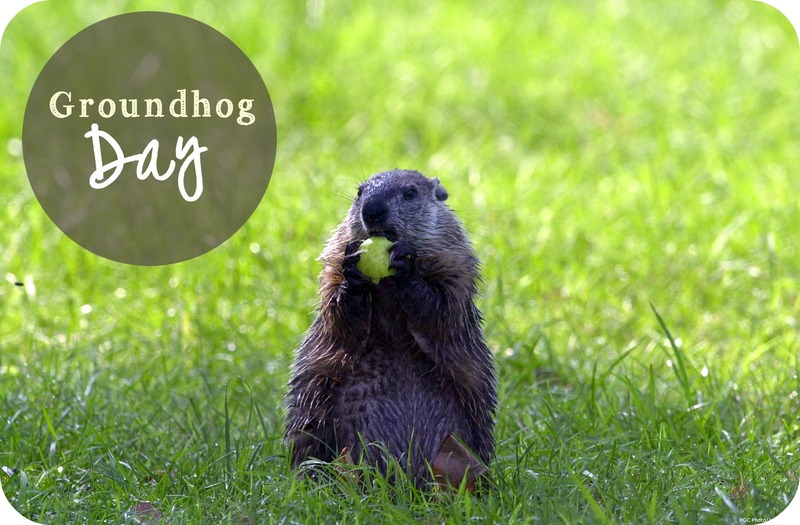 Groundhog Day may have roots in ancient, pagan festivals of Europe; however, it originated as a Pennsylvania German custom in North America. In southeastern Pennsylvania (where there is apparently not a whole lot to do), people widely and wildly celebrate February 2. Punxsutawney, Pennsylvania hosts the most renowned Groundhog observance in America. The resident rodent known as “Punxsutawney Phil” presides over the affair. Over 40,000 pilgrims gather for the annual festivities. Authorities in such matters disagree about the accuracy of Groundhog Day’s prognostications. Rodent supporters claim that groundhogs claim a 75% to 90% accuracy degree—far exceeding the success rate of their television weather-forecasting colleagues. The folk at the Yellow River Game Ranch assert that General Lee boasts an astonishing 94% success rate. The National Climatic Data Center, however, reports a more down-to-earth average of 39% accuracy for groundhogs nationwide. One prosaic scientist laconically observed that regardless of a groundhog’s prediction, Spring ALWAYS officially arrives on March 20 or 21—about six weeks after Groundhog’s Day. Bill Murray starred in a 1993 movie entitled Groundhog Day. He played an egocentric weather reporter named Phil Connors. His producer assigned the weatherman to cover the dreaded Groundhog Day’s doings in Punxsutawney, Pennsylvania. Inexplicably, Connors finds himself repeating the same day over and over again. After a series of misdeeds and misadventures, Phil recognizes that fate has granted him the opportunity to change his life. The movie ends when he . . . well, you need to watch it for yourself! Traditionally, January 1st inspires people to make New Year’s resolutions. However, many of us need a second chance at a second chance. If 01-01 didn’t work for you, then try 02-02. Regardless of sunshine or shadows, it’s never too early or too late to claim God’s power to start anew.